By Ken Perez, vice president of healthcare policy, Omnicell, Inc.
As widely reported, based on exit polls, healthcare—not the economy—was the top issue on voters’ minds in the 2018 midterm elections. This was due in part to the nation’s sustained economic recovery of the past two years, resulting in the current healthy state of the economy in general. In addition, Democratic Party political advertising emphasized healthcare—61 percent of pro-Democratic House ads from Sept. 18 to Oct. 15 mentioned healthcare, compared with just 10 percent of all Democratic ads in 2016. According to several analysts, the Democrats’ success in taking back the House was largely due to their riding the “train of healthcare,” with a large proportion of Democrats in Congress supporting the idea of single-payer healthcare as embodied in Independent Vermont Sen. Bernie Sanders’s “Medicare for All” bill that he introduced in Sept. 2017. Many of the most likely Democratic candidates for president in 2020 have publicly expressed their support of Medicare for All. Five of the seven most likely Democratic candidates from the Senate cosponsored the Medicare for All bill: Cory Booker of New Jersey, Kirsten Gillibrand of New York, Kamala Harris of California, Jeff Merkley of Oregon and Elizabeth Warren of Massachusetts. Some of the possible Democratic candidates from the House (e.g., Rep. Beto O’Rourke of Texas) and current and former Democratic governors (e.g., former Massachusetts Gov. Deval Patrick) are also Medicare for All backers. At this point, what is the plausibility of Medicare for All becoming law after the 2020 elections? It would obviously require the election as president of Sanders or a Democratic candidate who supports a single-payer system. In addition, the Democrats would need to retain their new majority in the House, and they would also need to attain a 60-seat majority in the Senate to overcome a possible minority party filibuster by the Republicans, assuming their united opposition. Note that the Patient Protection and Affordable Care Act passed in the Senate by a 60-39 vote, with not a single Republican senator voting for the bill. A 60-seat Senate majority for the Democrats is not very likely to happen in 2020. Evidently, the Democrats will have 47 seats in the Senate once the 2018 midterm election results are finalized. The most aggressive current projection from a Democratic perspective regarding their Senate prospects in 2020 is a flipping of five seats presently held by Republicans (in Arizona, Colorado, Iowa, Maine, and North Carolina), resulting in a 52-seat majority. However, even that outcome would be eight seats short of the 60 needed. Thus, it appears that it would take some combination of executive branch meltdown (e.g., impeachment proceedings) and retirements by multiple Republican senators during the next two years in order for voters to flip an additional seven seats in the Senate to the Democrats in 2020. 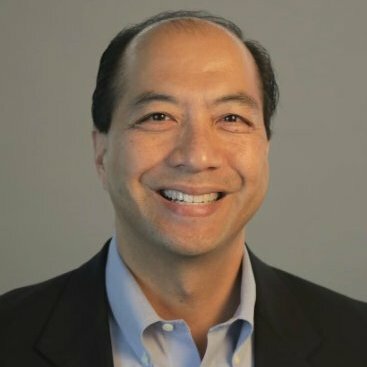 Guest post by Ken Perez, vice president of healthcare policy, Omnicell, Inc. Though largely overshadowed by the continued pursuit of repeal and replacement of the Affordable Care Act by the Trump administration and congressional Republicans, the concept of a single-payer healthcare system is gaining popularity, and a referendum on it is already starting to take place. According to a June 2017 national survey by the Pew Research Center, 60 percent of the American public feels it’s the federal government’s job to provide healthcare coverage for all Americans, and a third of the public favors a single-payer health insurance system run by the federal government. On September 13, Sen. Bernie Sanders (I-Vt.) introduced the Medicare for All Act of 2017. In striking contrast with his previous solitary introductions of this approach, this time 16 Democratic senators—one-third of the party’s Senate caucus—identified themselves as co-sponsors, including Senators Cory Booker, Kirsten Gillibrand, Kamala Harris, and Elizabeth Warren, all possible presidential candidates. Per Sanders, Medicare for All would create a federally administered single-payer healthcare program that provides comprehensive coverage for all Americans, spanning the entire healthcare continuum, “from inpatient to outpatient care; preventive to emergency care; primary care to specialty care, including long-term and palliative care; vision, hearing and oral health care; mental health and substance abuse services; as well as prescription medications, medical equipment, supplies, diagnostics and treatments.” Every doctor would be in network, and saliently, there would be no deductibles, copays or cost-sharing requirements of any kind. One admittedly simplistic way to estimate the cost of a single-payer system would be to assume that the federal government would pay for the nation’s entire national health expenditures (NHE), which the Centers for Medicare and Medicaid Services projects will reach about $3.5 trillion in 2017, which would be equivalent to a more than tripling of the roughly $1.1 trillion the federal government will spend this year on Medicare, Medicaid, the Children’s Health Insurance Program, health insurance subsidies and related spending, and Veterans’ medical care. Single-payer advocates argue that administrative savings and decreased waste would reduce spending, generally by 20 percent to 30 percent, but such savings would likely be offset by the cost of covering the approximately 25 to 30 million Americans without health insurance, as well as higher demand (from those currently with coverage), resulting from the elimination of all cost-sharing requirements, which tend to curb overutilization of medical services. Per a landmark 1982 Rand Corporation study that examined the spending patterns of patients with insurance that covered 100 percent of expenses versus those with copays and deductibles, patients without out-of-pocket fees spent 30 percent more for medical services. A 30 percent increase in demand for medical services would add more than $1 trillion to the nation’s annual healthcare bill. Citing the lower per capita costs of healthcare in other industrialized countries with single-payer systems, Sanders argues that NHE would actually decrease under his single-payer plan, by $6 trillion over 10 years. Sanders’ white paper, “Options to Finance Medicare for All”— which outlines a dozen tax revenue-generating ideas —presents $16.2 trillion as the implied expected increase in federal expenditures over a 10-year period under Medicare for All.